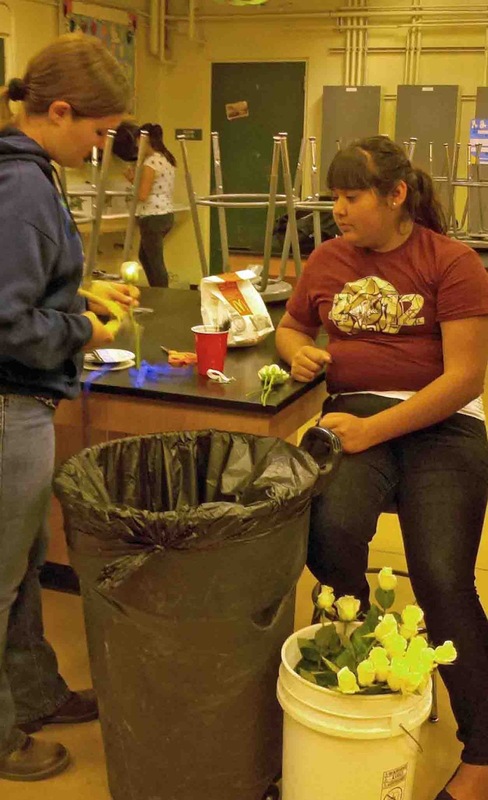 Buena Park High School seniors were able to purchase fresh, handmade prom corsages and boutonnieres from BPHS FFA students. Part of the curriculum of the ag program at the school is horticulture as well as floral design. The students used beautiful fresh roses, carnations and baby's breath, designed and made the flower arrangements and sold their finished products to prom attendees.